For the past few months, it seems that social media has been our favorite topic to discuss, in terms of marketing and other business solutions. But, does it have a place in air cargo? Experts define social media as: “websites and apps that give users access to create content and to be able to practice social networking.” Today the number of social media channels is steadily growing. There are Facebook and Instagram – but how about LinkedIn, Snapchat and Pinterest? Do they play a role in our industry? In the new phase of business, cargo back office operators become more engaged in social networking because here, they can reap tremendous business opportunities. When social media is utilized to do more than simply advertise new products or for marketing, a lot of opportunities are opened. Now we can clearly see the kind of impact having a social media platform can have on operations, as well as other initiatives. 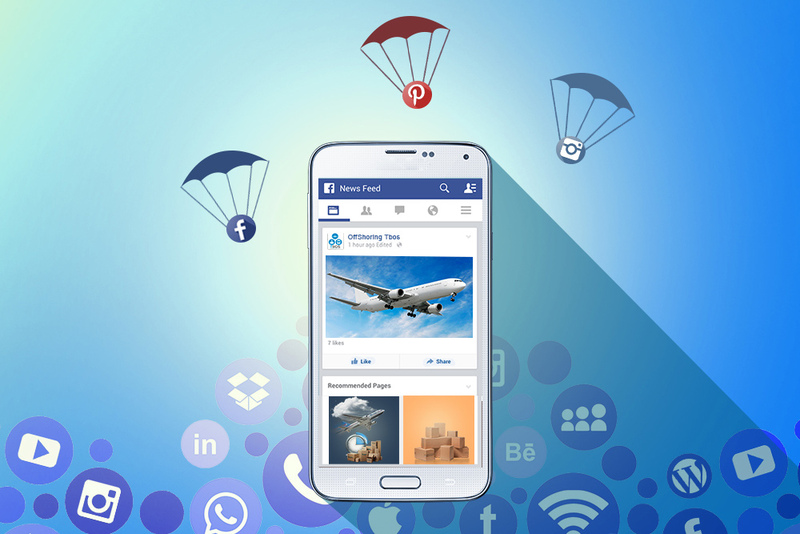 The question is, do we really need social media for the air cargo industry? Today, eighty percent of businesses believe that investing in social platforms will improve business. Companies are noticing that both their IT and marketing departments are growing in terms of headcount due to the incorporation of social media. This also requires companies to outsource operations because they need people with skillsets more in line with their marketing and IT departments. Airlines and airports embrace the use of social media to advertise, inform passengers of flight status info, promote new services, solve customer service issues and provide on board services for their customers. But, how do we relate this to cargo? Are the processes the same? Are the cargo clients shying away from the person-to-person phone call in favor of iPhones and Androids? The scope of social media is not bound to a certain location; it connects your company to your clients anywhere at any time. It is no longer just for IT nerds anymore; it reaches out to everyone, as our virtual lives and social networking have become a facet of our everyday “real world” lives. Since it has the power to connect, social media does bring people together from across the globe. An important factor too is that almost everyone owns a smart phone and the number of those who don’t will likely decrease in the next few years. Business-to-business customers are becoming tech savvy customer using social media channels. Do corporate communications have a new role to play, both within and outside the company? Should there be new regulations on social media? Would you turn the technology into something more human and personalized and let it be a major part of your company brand? Will the business-to-business model be more dynamic with the rise of social media use in different industries? But, let us also remember that in countries such as Japan, China and Korea, major industries are neither into Facebook nor Twitter. The main social media channels for business there are Douban, Weibo, and Renren – social media networks that we in the other side of the world should familiarize with.